What is it they say … the grass is always greener on the other side. That is, unless you already happen to live in one of Britain’s best towns! If the current area you live in is hampering you with high living costs, a long commute and a below average salary, relocation is always an option. Let’s take a look at some of the top places to live in the UK. The capital of Wales and the UK’s largest city makes a beautiful destination for anyone looking for a place to live with affordable housing options and plenty to do, combined with green space. Located in the south of the country at the mouth of the River Severn, Cardiff is well known for its sport (especially rugby), the incredible number of castles and affordable living. In fact, house prices are an average of 6.6 times the value of salaries compared to a UK average of 8.8. 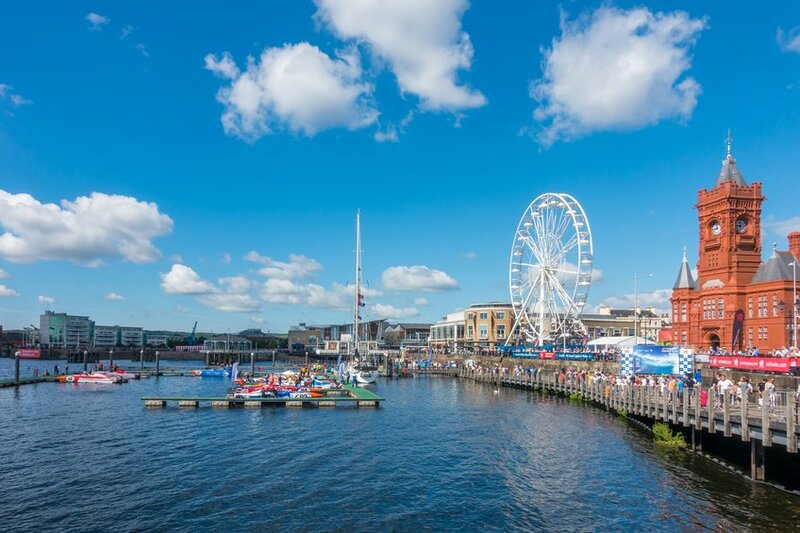 Whether you’re a devoted fan of vibrant nightlife or you prefer to spend some quality time by the seaside, Cardiff compromises the best of cosmopolitan living while only being a stones throw from beautiful coastline and countryside. Furthermore, with just a one hour journey to Bristol, you can easily board the train when you fancy something different. Oh, and did we mention the instant dose of green space in the form of many parks scattered around the city, the friendly atmosphere and ease of travel? It only takes 15 minutes to get from one end of the city to another! Looking to relocate to Cardiff to start fresh? We can help you to keep your belongings safe and secure during your move – simply get in touch with our Cardiff self-storage facility today. “Who says that you have to wait for retirement to enjoy a life beside the sea in sunny St Ives!” – Rozzi Wright. 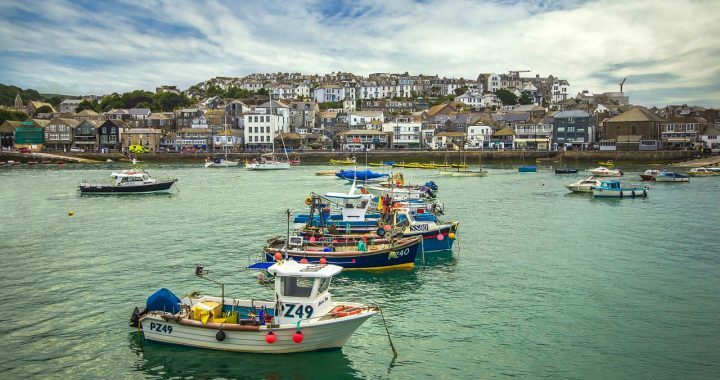 According to a survey conducted by RightMove, St Ives in Cornwall was voted the most sought-after place to reside in Britain, pipping Poole and Brighton to the post. With its fine collection of beaches, art galleries and restaurants, St Ives is being recognised as one of UK’s hottest destinations. Located north of Penzance and west of Camborne on the coast of the Celtic Sea, this beautiful seaside town is a dream for surfers and art enthusiasts. Thanks to the growing interest in St Ives, finding a dream property is also easier than ever as you can chose from beautiful houses that overlook the Cornish coast or opt for more affordable options such as one bedroom flats situated a short distance from the city centre. Positioned on the main train line from London to Eastbourne, Lewes is a quiet and stylish destination when it comes to daily living. Placed 50th on the 50 Best Places to Live in the UK survey conducted by Halifax, this East Sussex town is small but perfectly formed, and mostly recognised for its annual Guy Fawkes celebrations. 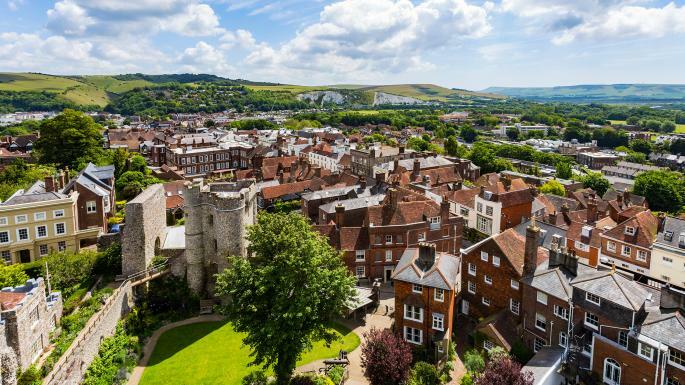 With a great mix of architecture from 15th and 16th century black-and-white houses to Georgian, Victorian and Edwardian buildings and of course, the castle ruins – Lewes has a wonderful sense of history, making the town an extraordinary place to live for anyone who wants to break away from the crowded London. Named the UK’s happiest and wealthiest city, Bristol is a perfect destination for relocating Londoners who are seeking the perks of living in the city – bubbly nightlife, pretty sights and plenty to do. Located in the South West of England, residing in Bristol is also an ideal solution for anyone looking a relatively short journey to London (about an hour on the train) and reasonable living costs, – especially if you consider renting which, according to Zoopla, is now £156 per month cheaper on average that paying a mortgage. Looking for bursting career opportunities? Bristol is also a go-to city if you happen to work within creative or high-tech industry, thanks Bristol’s modern economy which offers countless opportunities in creative media, IT, electronic and aerospace.